BrassWerks was created by Ken Larson in his quest for a better trumpet beyond what was available to him as a professional musician in the Los Angeles area. 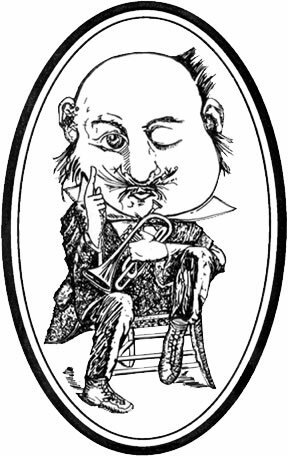 His variety of work as a studio musician and performer in various operas and orchestras as well as a freelance trumpeter was cause for him to want a more efficient and flexible trumpet without compromising the sound of the instrument. His experience with the mechanical aspect of the trumpet was enhanced by his time working with Bob Malone in Los Angeles, CA. Through over 20 years of research and development, Ken has become a master craftsman and has created exceptional trumpets that merit only the highest praise from trumpet players. Ken's ongoing passion for the ultimate trumpet is why his custom trumpets are among the best in the world. Ken is a one man show where every instrument is his 'baby' and each is tested and fine tuned by him personally. This truly is a custom shop where each trumpet is handcrafted one at a time. Ken strives to get the best fit for each individual player based on their attributes and style of playing. Find more information here: http://www.brasswerks.com. Dillon Music, Inc. was established in 1992 and has quickly become one of the top professional brass centers in the world. We currently stock over 15,000 items and cater to every type of brass musician. Our repair department is second to none, having serviced many of the professional players in New York. Through our extensive inventory and knowledge, we are able to meet the needs of all brass players. Thompson Music presents Stomvi Trumpets. Thompson Music is the North American director of sales for Stomvi products. 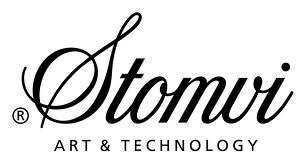 The Stomvi company was formed in 1983 by Vincente Honorato and is located in Valencia, Spain. Mr. Honorato has worked with many great players over the past 30 years including Maurice Andre, The Spanish Brass, Francisco "Pacho" Flored and Luis Gonzalez. These instruments are very popular throughout Europe and are now available in the United States. Popular models that will displayed at events are the S3, VRII, Elite Piccolo and D/Eb. KO Skinsnes, the designer of the Stomvi Flex Mouthpiece, will be available for mouthpiece consultation and fittings. Bill Pfund trumpets are made to the highest standards. The bells are all annealed using a special process that ensures an easy response in all registers with particular ease and clarity in the upper register. The trumpets include the date of manufacture along with other descriptive code in the serial number to ensure authenticity as well as to track and ensure the continued improvement of our quality and consistency. Please look through our offerings and let us know if there is anything we can do to help you. We guarantee you the finest personal and professional service and will continue to strive to improve the products and at the same time work to keep the most reasonable price in the marketplace. Bill Pfund signature mouthpieces are available for all the different trumpets and have been developed and are manufactured in Lexington, KY with the help of Peter Pickett. Products include: Trumpets in Bb, C, Eb/D and Bb/A Piccolo. Cornets in Bb, C, and Eb. Flugelhorns in Bb. These instruments are available in a variety of metals, bell sizes and finishes. Signature mouthpieces for all trumpets, cornets, and flugelhorns. William Pfund is Professor Emeritus, the University of Northern Colorado and has been active with the International Trumpet Guild since it's beginning. He has served two terms as ITG Vice President, and was President from 2007-2009. He is currently serving as ITG Legacy Endowment Director and member of the Board of Directors. For more information go to: http://www.billpfund.com.